Partly cloudy. Slight chance of a rain shower. High 61F. Winds SSE at 5 to 10 mph..
Cloudy. Periods of rain early. Low 46F. Winds N at 10 to 20 mph. Chance of rain 80%. 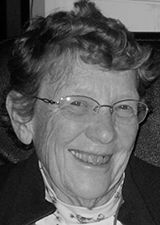 Martha (Sackett) Fowler, formerly from Kenosha and Wynantskill, NY, died on February 4, 2019. Martha was born to Howard and Margaret (Wood) Sackett in 1937. After graduating from Port Leyden Central School in New York, she went on to receive her Bachelor’s in Education from Macalester College in St. Paul, MN, and her master’s degree from Carthage College in Kenosha, WI. She continued with advanced course work that would enrich her teaching, thus her students. Learning and questioning were lifelong projects for her. A common expression from her was, “I got’sta know”. Martha and Leonard Benton Fowler were married in 1960. He preceded her in death in 2011. She leaves her much loved and admired children; William E (Pamela) of Kenosha, Katherine A of Vernon and Suzanne R Morrison (Eric) of Cape Coral, Florida. She also leaves her grandson, Alexander, of Vernon. He greatly enriched her life with his exuberance, inquisitiveness, humor, many varied conversations, unconditional love, and his great love for music. In addition, she leaves her sisters, Ellen S Post, Willis, TX and Margaret Ann Leonard (Edward), of Delmar, NY. She also leaves many cousins, nieces and nephews, who enriched her life. She was preceded in death by her much loved daughter, Elizabeth L, her parents, her brother John E Sackett, and an infant daughter. Martha’s greatest loves were foremost her family, followed by learning about the development of religion and how it relates to today’s living, gardening, camping, the theater, and her great thirst for knowledge. During her lifetime, she was very active in church and school activities. A much admired and outstanding teacher she was awarded the Jr. High Teacher of the Year for Kenosha in 1994. She was active in the Orchestra and Choral Booster Organizations, serving in several leadership roles. She was active in 4-H and for several years taught the 9th grade confirmation class at First Presbyterian Church, in Racine. In addition, she was an adjunct teacher at Carthage College in Kenosha and, while her children were little, an innovative day care provider, and an active member of KEA, NEA, and WEA. She was a firm believer in the rights and responsibilities of all people and the need for a learned and informed electorate. She believed that life is to be enjoyed, but there is also a great responsibility to those less fortunate than one’s self. With that in mind, memorials may be made to any of the following: First Congregational Church of Vernon, 695 Hartford Turnpike, Vernon, CT O6O66, the Hockanum Valley Community Council, Women’s Shelter, Creative Living Community of CT., Food Share, or a charity of your choice. Or, help a neighbor. A huge thank you to all you have enriched her life and made it such a ride! You have made the adventure an eventful experience for her.